with a BIG passion for computers and customer service! 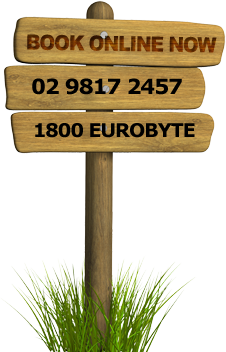 EUROBYTE is a family business that, since 2003, has been helping small businesses and home users in Sydney's Northern Suburbs and Inner West build and run quality IT systems. For years we used to be exclusively a mobile computer repairs business. 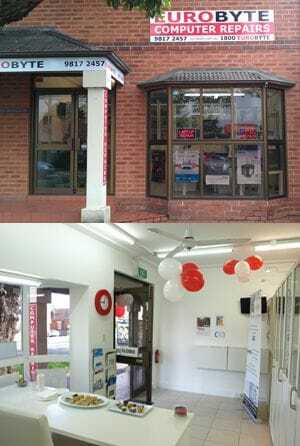 This changed in 2011 when we opened a computer shop in Boronia Park. 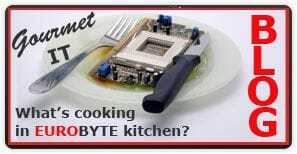 Today we're a computer repairs business for all your repair needs - in our shop or your home or office. Our mission is simple: understand your wants and needs, offer a good solution, surround you with exceptional service, make it easy for you and profitable to do business. LOYAL CUSTOMERS FOR LIFE. That’s the goal. Recently, we expanded our range of services to include web design and development. We're proud we're able to build powerful, professional online presence for small to medium sized businesses to help them achieve their online business goals. We are servicing a broad range of businesses, including shops and restaurants, marketing and advertising firms, events organisers, building & construction companies, Australian exporters and importers, cleaning and strata management businesses, medical practices, and many more. Our individual clients have diverse backgrounds, including builders, plumbers, lawyers, accountants, private investigators, doctors, dentists, nurses, mechanics, designers, finance professionals, brokers, tennis coaches, managers, students, pensioners, mums and dads.